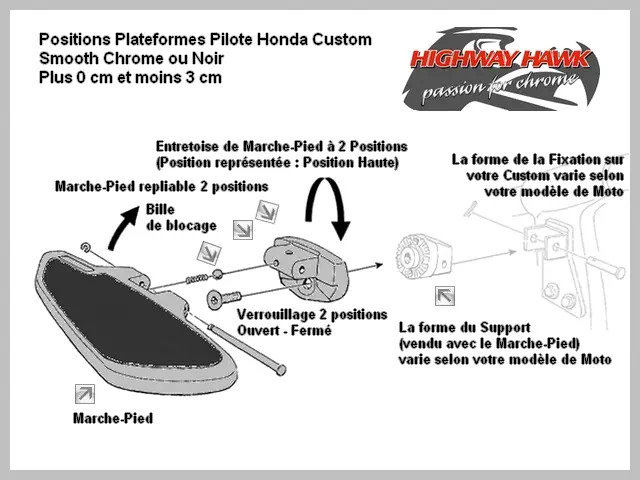 Véhicule / Motocyclette / Custom et Café-Racer / Plateforme de Position Conducteur et Passager / Marche-Pied Honda Custom : Plateforme au Pied Confort Smooth. Paire Marche-Pieds Avants Universels Honda Custom Adaptables Highway-Hawk Smooth Classic Chrome ou Noir. 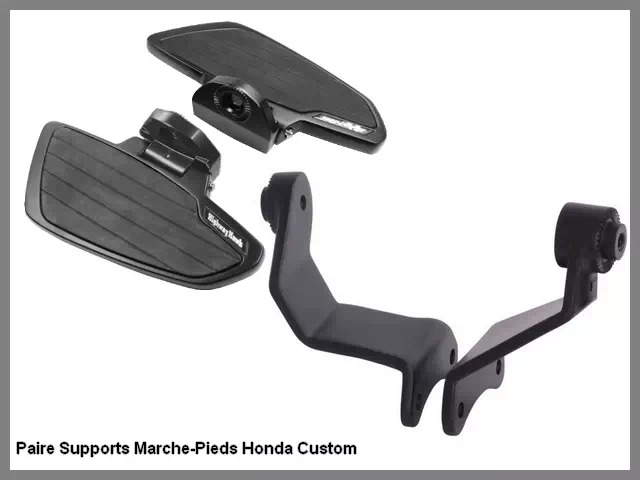 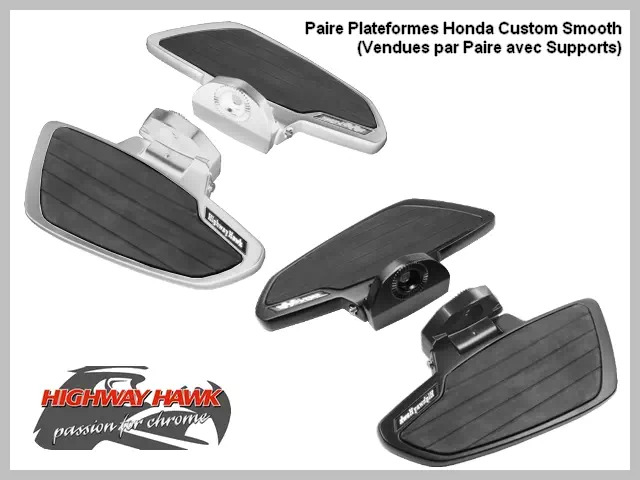 Paire Plateformes Repose-Pieds Honda Custom - Marche-Pieds Moto Custom Highway-Hawk - Marche-Pieds Moto Custom - Couleur : Chrome et Caoutchouc Noir - Noir et Caoutchouc Noir. 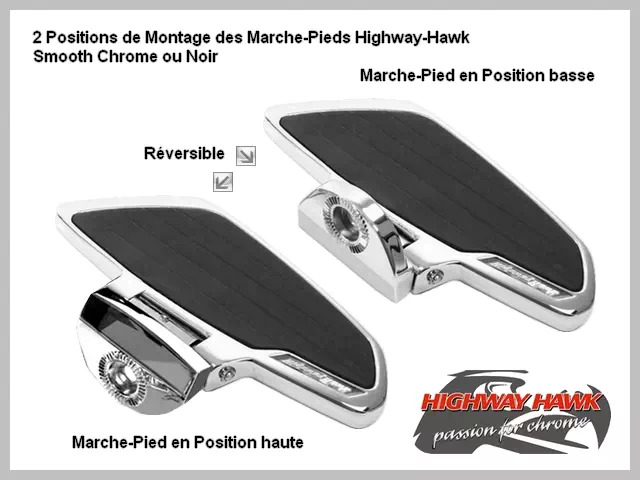 Pur style "US Low Rider" sur votre Custom avec ces très beaux Marche-Pieds Pilote Honda Custom Smooth Highway-Hawk Universels pour : Moto Custom Japonaise - Moto Custom Européenne - Moto Custom Américaine et Harley-Davidson. 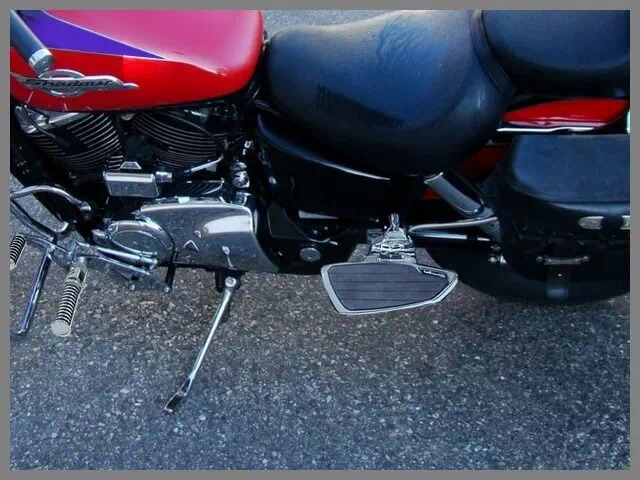 Pur Esprit Custom. 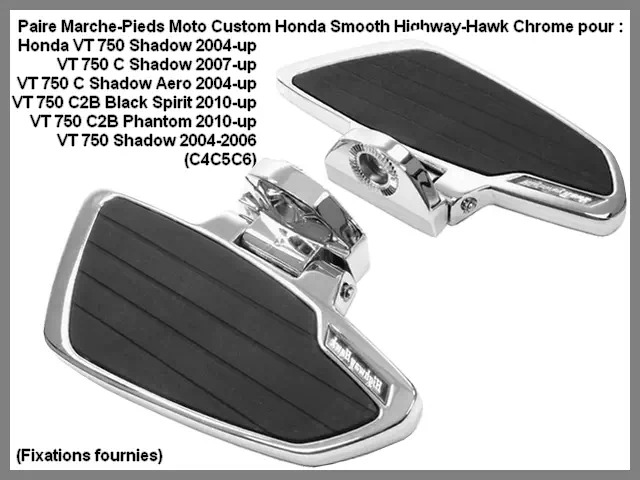 Paire Marche-Pieds Avants Honda Custom VT 750 C2 Ace 1997-2002 Highway-Hawk Smooth Chrome ou Noir. 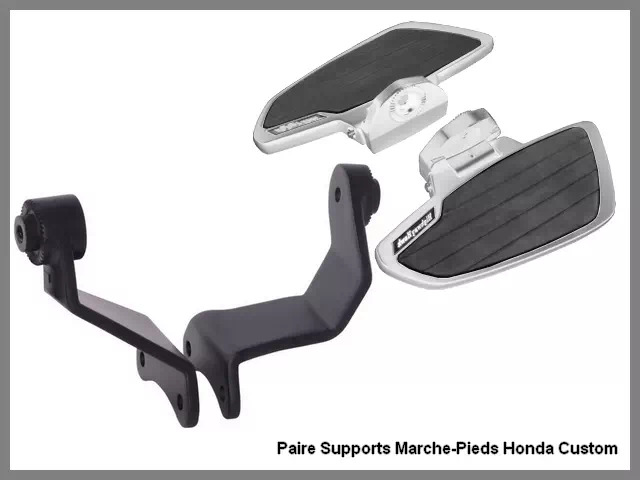 Paire de Plateformes Repose-Pieds Conducteur pour Honda Custom (Motocyclette Honda Vérifiée*) : VT 750 C2 Ace 1997-2002. 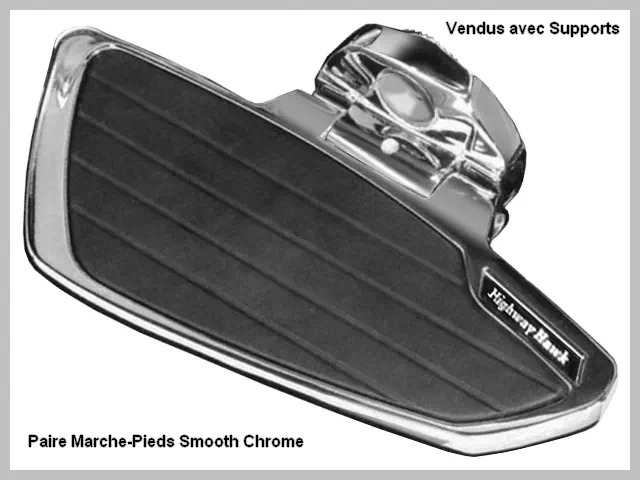 Pur style "US Low Rider" sur votre Custom avec ces très beaux Marche-Pieds Pilote Honda Custom Smooth Highway-Hawk, Autres modèles pour : Moto Custom Japonaise - Moto Custom Européenne - Moto Custom Américaine et Harley-Davidson. 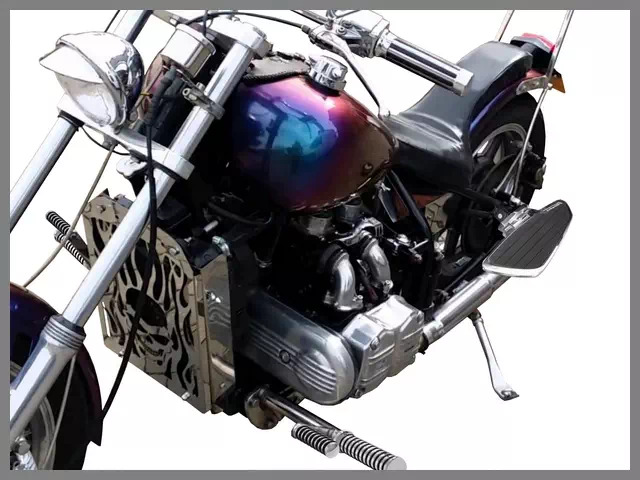 Pur Esprit Custom. Paire Marche-Pieds Avants Honda Custom VT 750 Shadow 2004-up Highway-Hawk Smooth Chrome ou Noir. 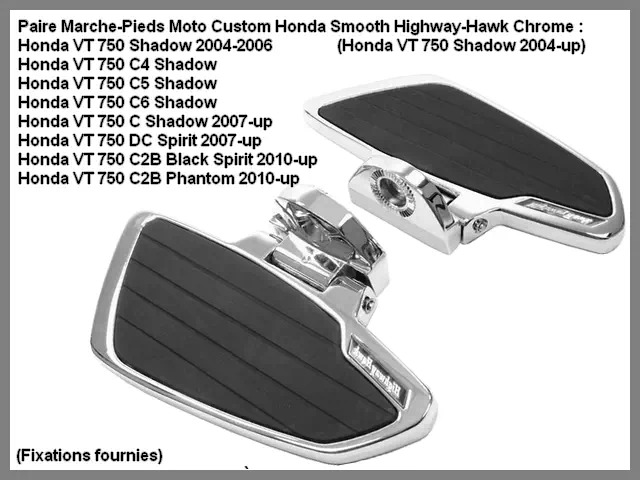 Paire de Plateformes Repose-Pieds Conducteur pour Honda Custom (Motocyclettes Honda Vérifiées*) : VT 750 C4 C5 C6 Shadow 2004-2006, VT 750 C Shadow Aero 2004-up, VT 750 C Shadow 2007-up, VT 750 C2B Black Spirit 2010-up, VT 750 C2B Phantom 2010-up. 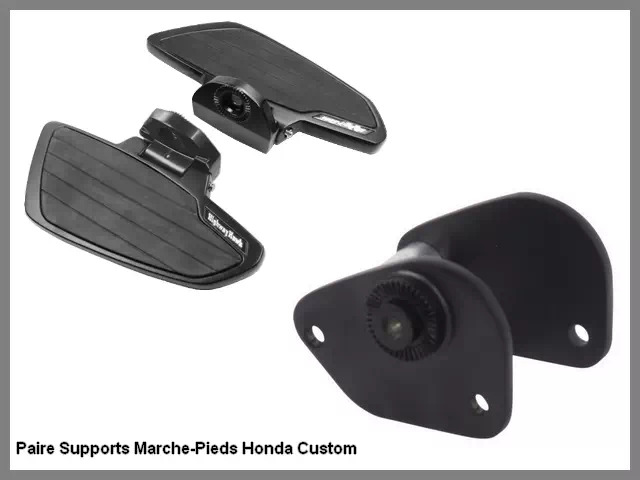 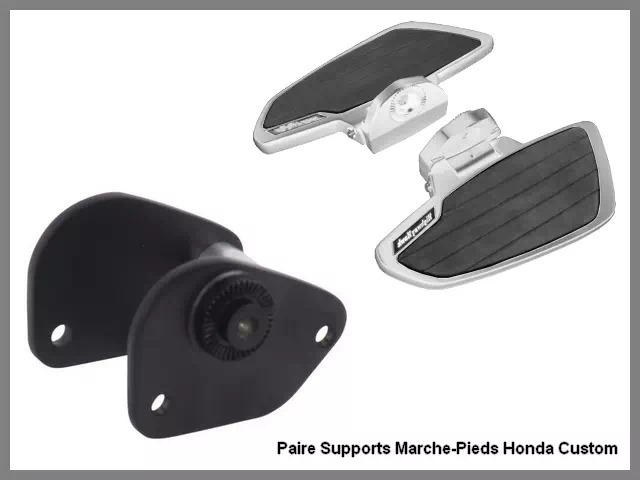 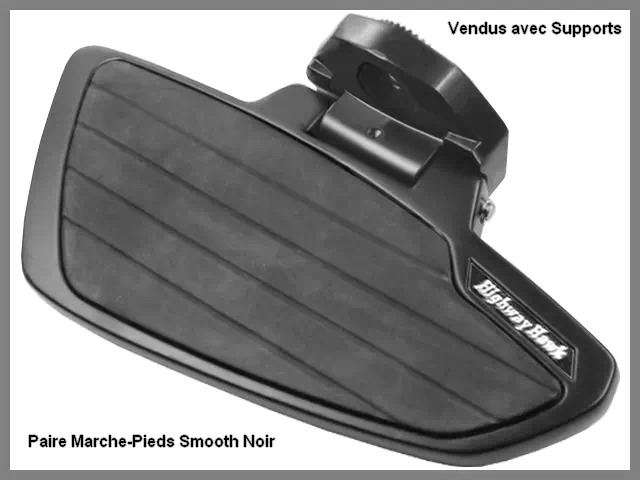 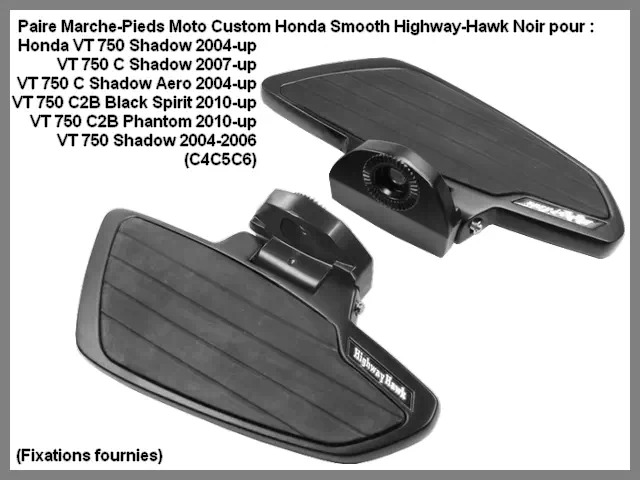 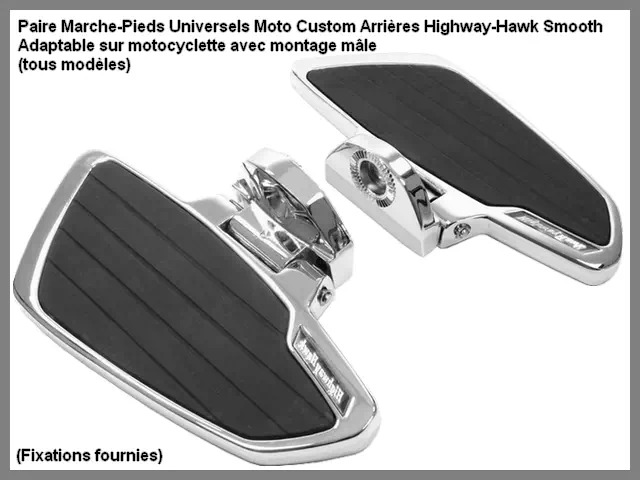 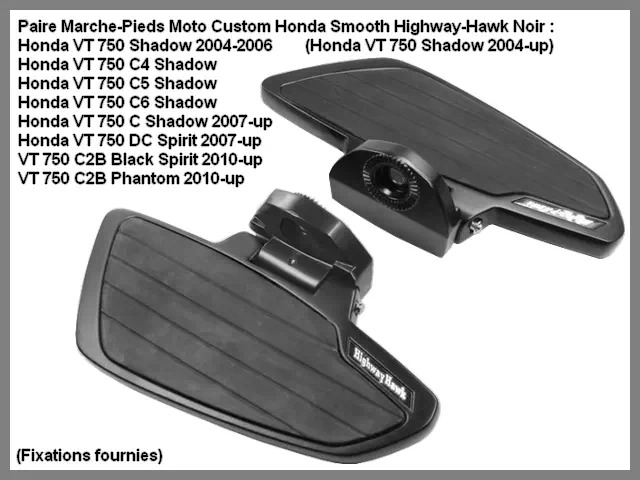 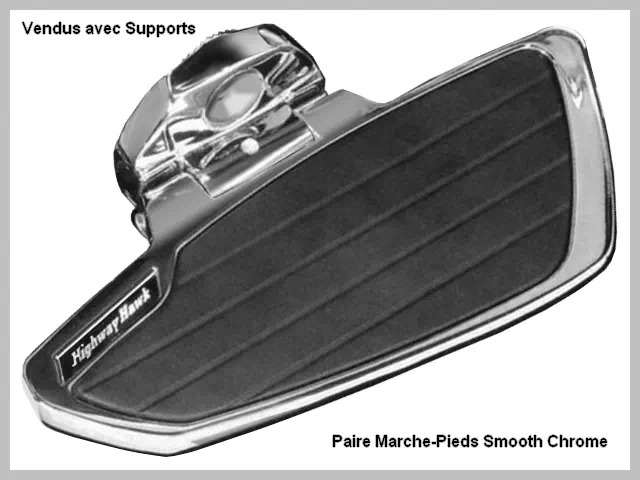 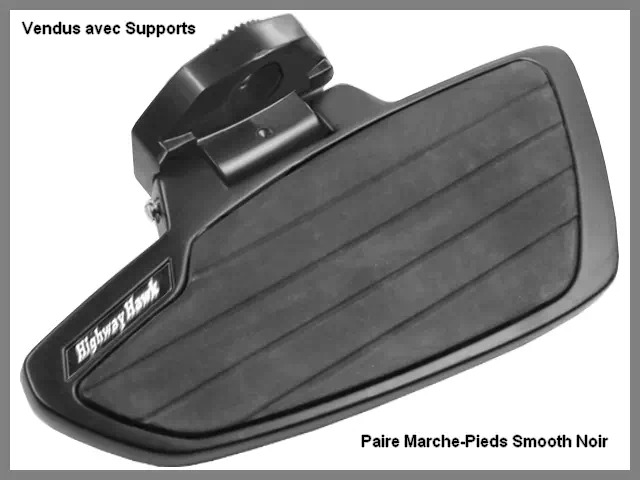 Paire Marche-Pieds Arrières Universels Honda Custom Adaptables Highway-Hawk Smooth Classic Chrome ou Noir. 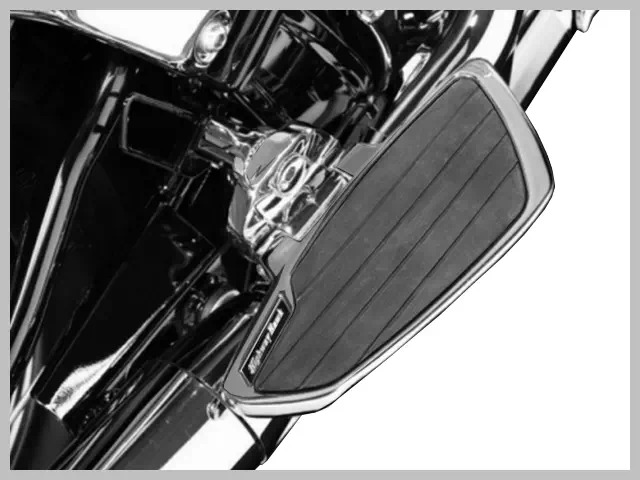 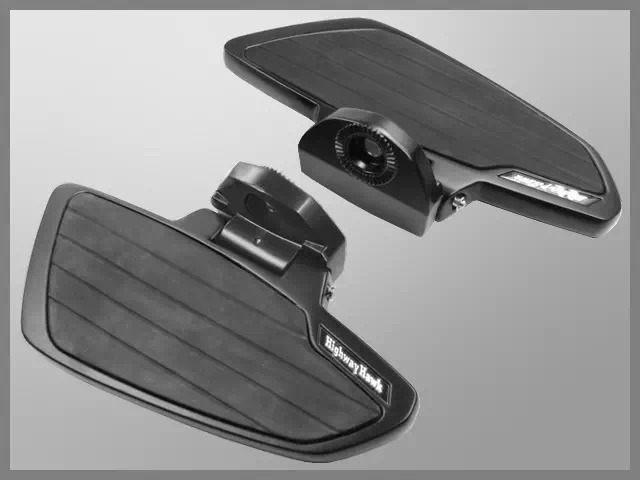 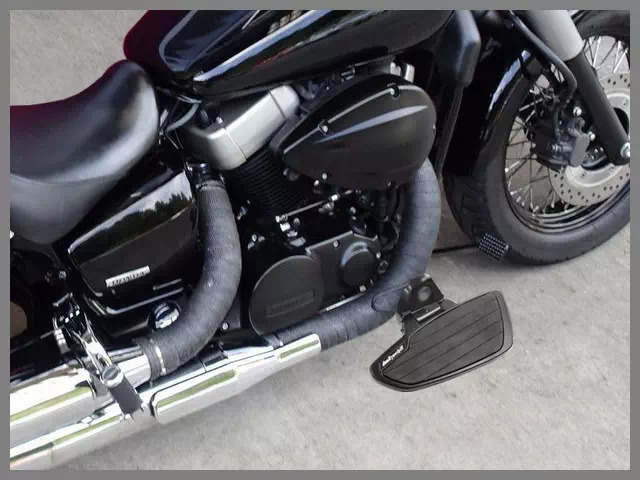 Pur style "US Low Rider" sur votre Custom avec ces très beaux Marche-Pieds Passager Honda Custom Smooth Highway-Hawk Universels pour : Moto Custom Japonaise - Moto Custom Européenne - Moto Custom Américaine et Harley-Davidson. Pur Esprit Custom. Paire Marche-Pieds Arrières Honda Custom VT 750 C2 Ace 1997-2002 Highway-Hawk Smooth Chrome ou Noir. 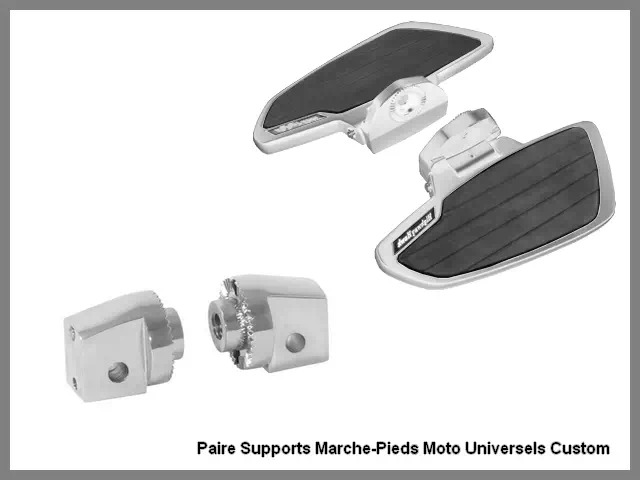 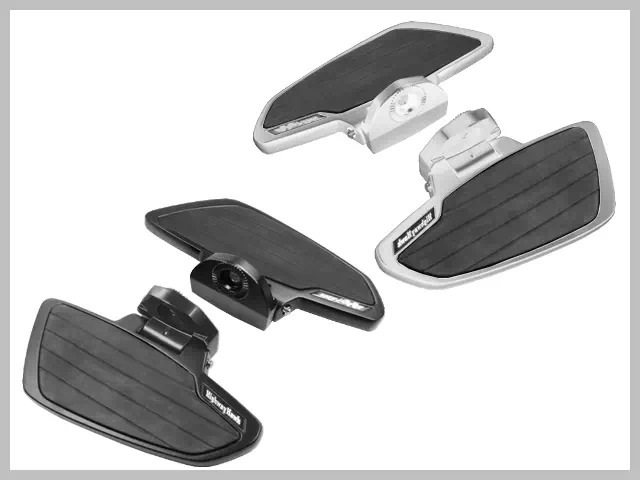 Paire de Plateformes Repose-Pieds Passager pour Honda Custom (Motocyclette Honda Vérifiée*) : VT 750 C2 Ace 1997-2002. 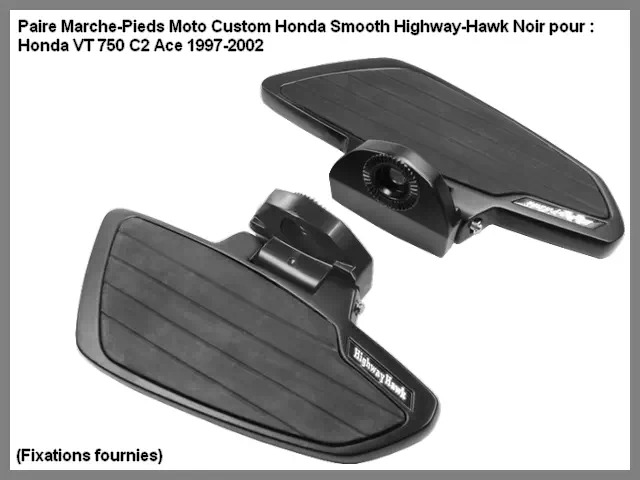 Pur style "US Low Rider" sur votre Custom avec ces très beaux Marche-Pieds Passager Honda Custom Smooth Highway-Hawk, Autres modèles pour : Moto Custom Japonaise - Moto Custom Européenne - Moto Custom Américaine et Harley-Davidson. 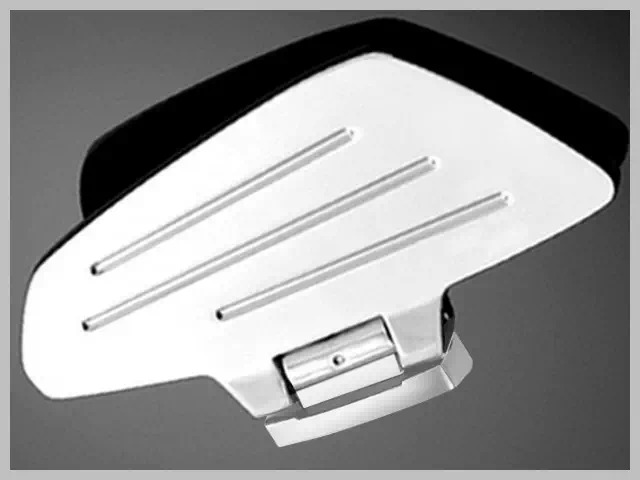 Pur Esprit Custom. 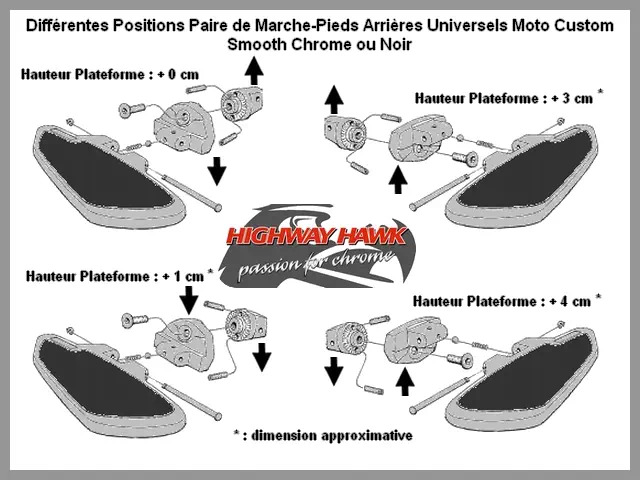 Paire Marche-Pieds Arrières Honda Custom VT 750 Shadow 2004-up Highway-Hawk Smooth Chrome ou Noir. 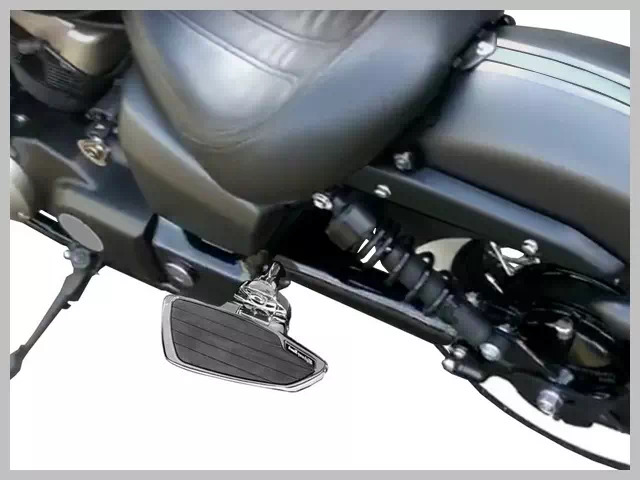 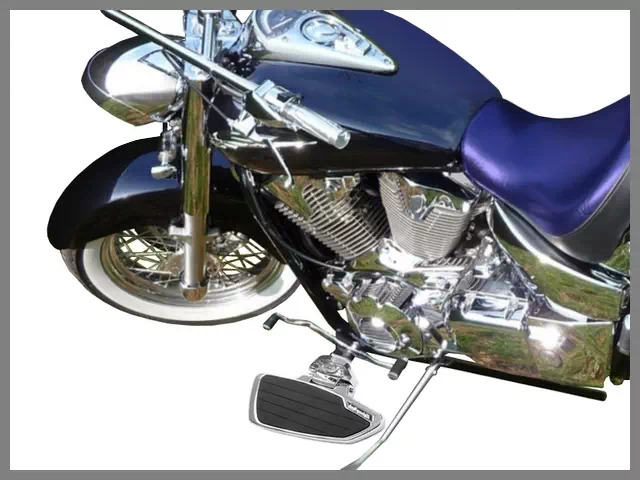 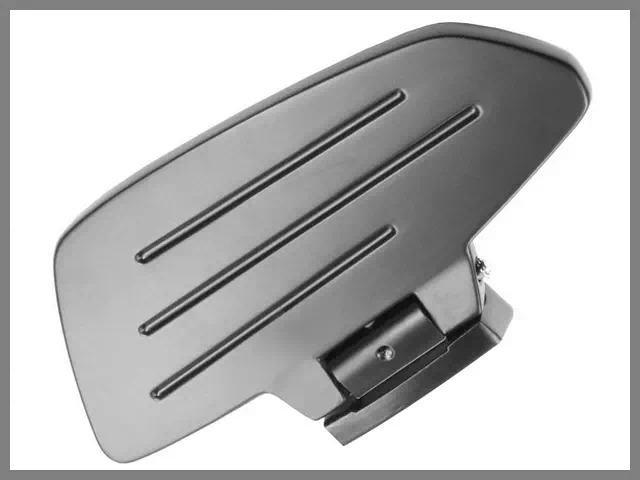 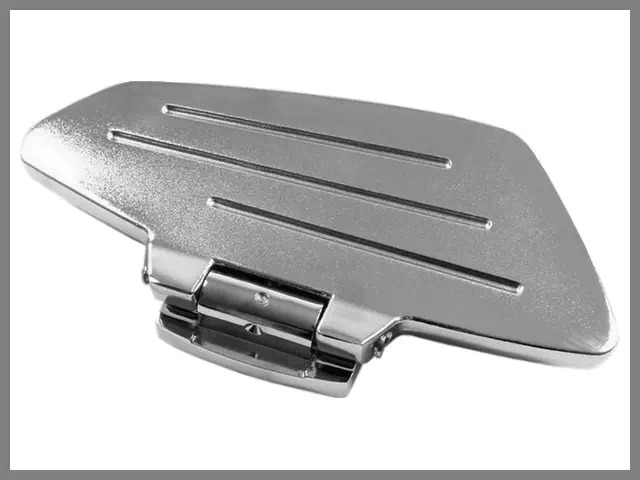 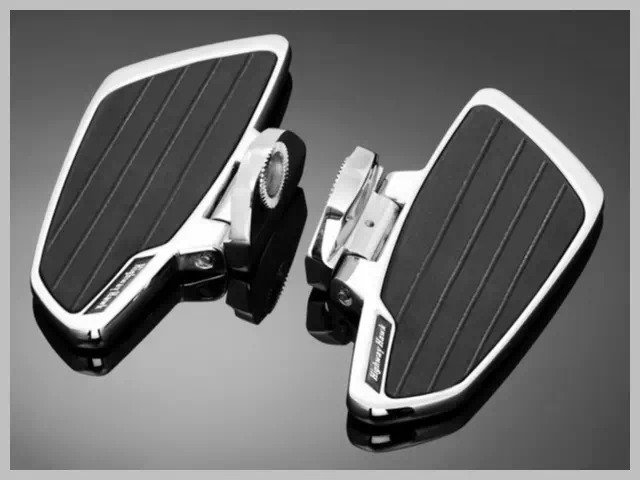 Paire de Plateformes Repose-Pieds Passager pour Honda Custom (Motocyclettes Honda Vérifiées*) : VT 750 Shadow 2004-2006, VT 750 C4 2004, VT 750 C4 Shadow, VT 750 C5 2005, VT 750 C5 Shadow, VT 750 C6 2006, VT 750 C6 Shadow, VT 750 C Shadow 2007-up, VT 750 DC Spirit 2007-up, VT 750 C2B Black Spirit 2010-up, VT 750 C2B Phantom 2010-up. Paire Marche-Pieds Arrières Honda Custom VT 1100 Shadow Highway-Hawk Smooth Chrome ou Noir. 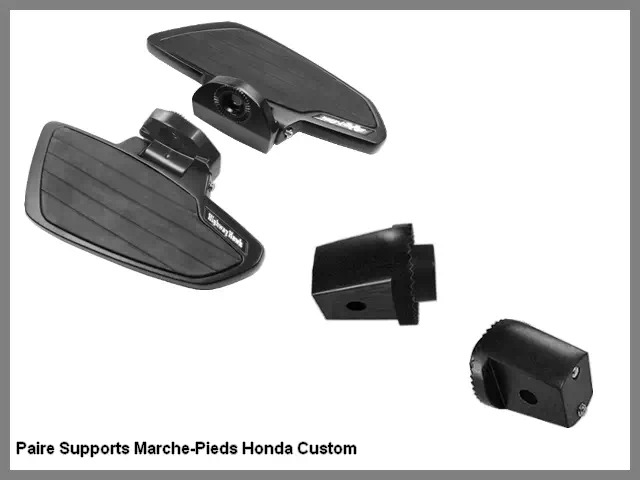 Paire de Plateformes Repose-Pieds Passager pour Honda Custom (Motocyclettes Honda Vérifiées*) : VT 1100 C Shadow 1987-1995, VT 1100 C2 Ace.